If you are running Windows Server 2012 Essentials then any connected PC which is running Pro/Enterprise/Ultimate SKUs of Windows 7/8 will automatically be joined to the domain. Not so good for us previous Home Server users – But there is now a temporary workaround thanks to a registry key. 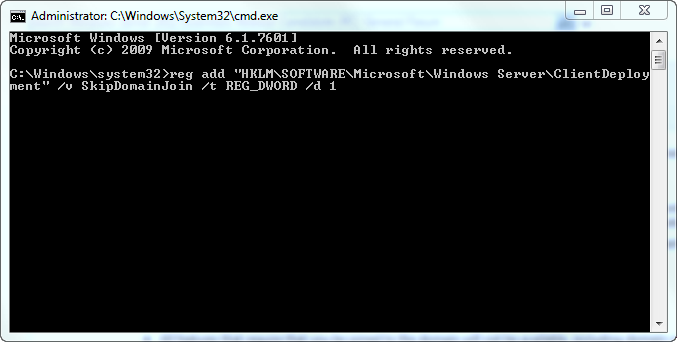 You will not need to perform this task for versions of Windows below these versions (e.g. Windows 7 Home Premium, Windows 8 Core), as these versions will not be domain joined automatically during the client install process. Info from the Windows Server 2012 Essentials forums. Perhaps a better article would be to get an answer from Microsoft as to why they feel domain joining should be automatic. Otherwise don’t mess.